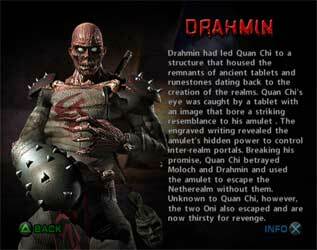 Drahmin is a playable character from the Mortal Kombat fighting games and debuted as an unlockable kombatant in Mortal Kombat: Deadly Alliance (2002). 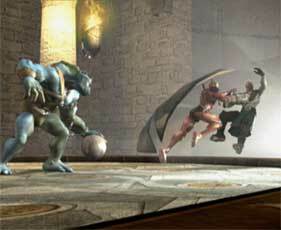 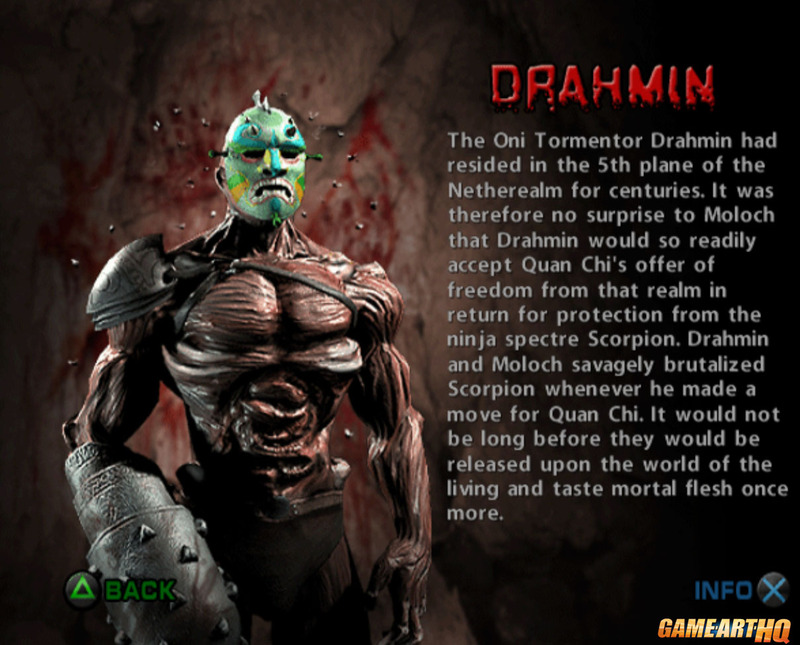 He returned in a small and unplayable role in the sequel Mortal Kombat: Deception (2002) and was playable again in Mortal Kombat: Armageddon (2006). 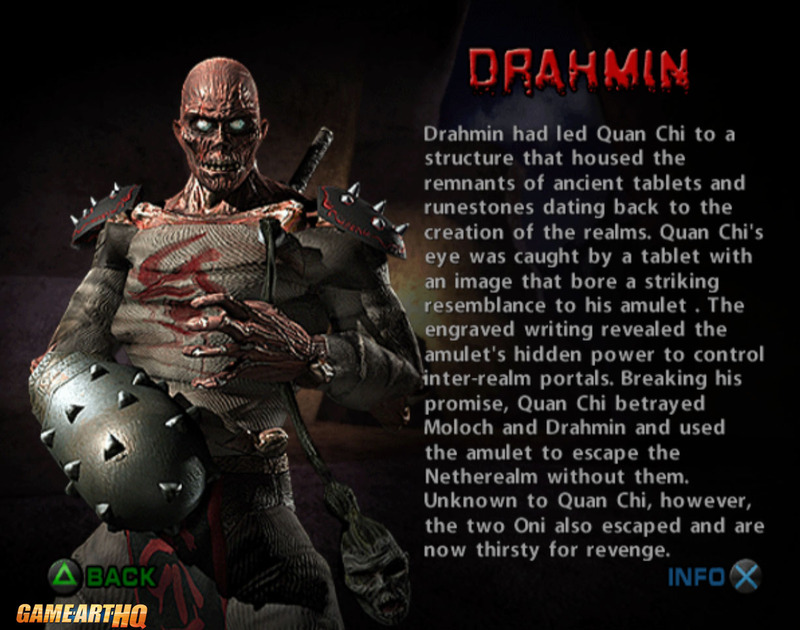 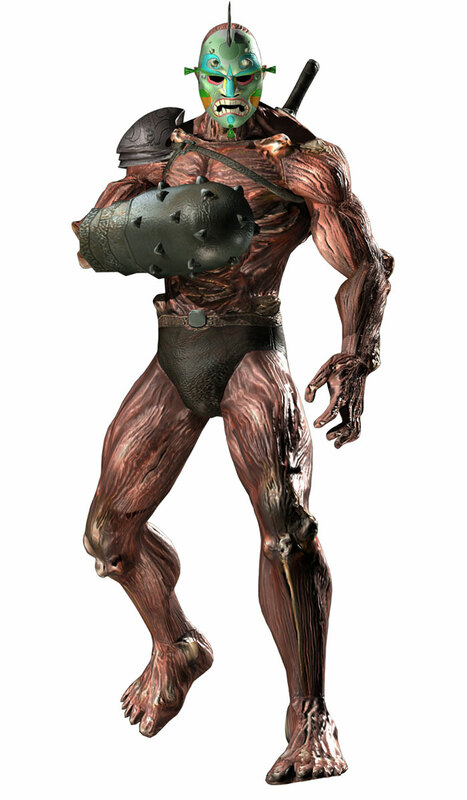 Drahmin did not appear in any of the other Mortal Kombat games and officially he was killed by Quan Chi in the comic series that accompanied Mortal Kombat X in 2015. 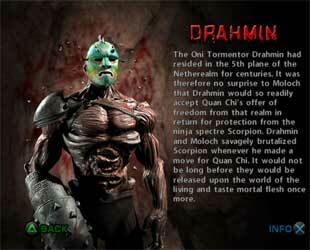 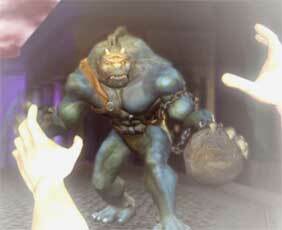 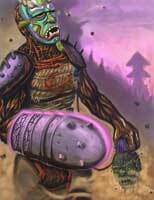 Drahmin was one of the least liked characters of the series creator Ed Boon and it is very unlikely we might see him again in a future MK game.